Lifts the spirits and promotes the ability to grasp new concepts more easily. Relaxes the emotional body. Helps bring resolution to normally volatile issues between couples. 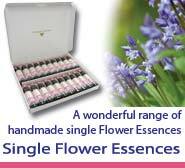 Primrose - Flower Essence... Primrose promotes focus and expands the ability to learn and grow mentally. Helps to balance the emotions and strengthens the ability to focus on one thing at a time. Helps to bring soul qualities through into the etheric level. Promotes higher connection and the ability to more easily follow the will of Spirit. Helps to release and transform vibrations of anger from the solar plexus chakra. Works in the brow chakra to stimulate and enhance inner vision. Scabious Flower Essence... Scabious helps one to feel, and to develop more sensitivity to, subtle energies. Strengthens and purifies the etheric body. An excellent essence to provide support during a fast.